Only a Jeep owner can truly appreciate the wild rides they provide drivers. After you take your Jeep over the river, and through the woods, you’ll want to bring it for a check up. Half of the fun of a Jeep is how durable they are, so you can probably have a lot of fun with your Jeep before you even think a repair. But by that time it’s too late. Coopers Auto Repair Specialists in Tacoma, WA know the best car care plan for your Jeep, because we are highly trained and highly familiar with Jeep repairs and maintenance. Keeping you on a timely and diligent maintenance plan will keep you enjoying wild rides in your Jeep for years to come. Before you plan any weekend excursion or road trip for your Jeep it’s a good idea to bring it to Coopers Auto Repair Specialists in Tacoma for a tune up. Our ASE Certified Technicians will analyze your engine performance for any problems or potential problems that you might need to avoid. All tune up related components will be tested for their condition to operate effectively. Taking your vehicle off-road is half the fun of owning a Jeep. Feeling the wind in your face as you travel places that other cars dare not go is a thrilling activity. However, the party will end real quick if the overlooked maintenance and repairs catch up to you. So don’t get caught without having replaced your worn timing belts or changing your oil. Your timing belt snapping will end your trip, because an engine cannot start without the timing belt. If a serious repair, like an engine rebuild, repair, or replacements is needed for your Jeep, we are more than qualified to handle it. We can also provide transmission service and repairs. We have high caliber automotive technicians ready to perform all of your Jeep services. That’s what separates us from other shops. 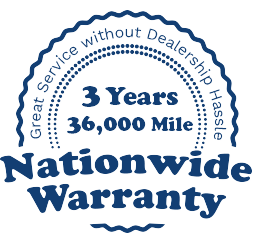 Our specialized Jeep services make us a preferred alternative to the dealerships.